This article is only intended for desktop/laptop users running the Chrome OS, Linux, macOS or Windows operating systems. 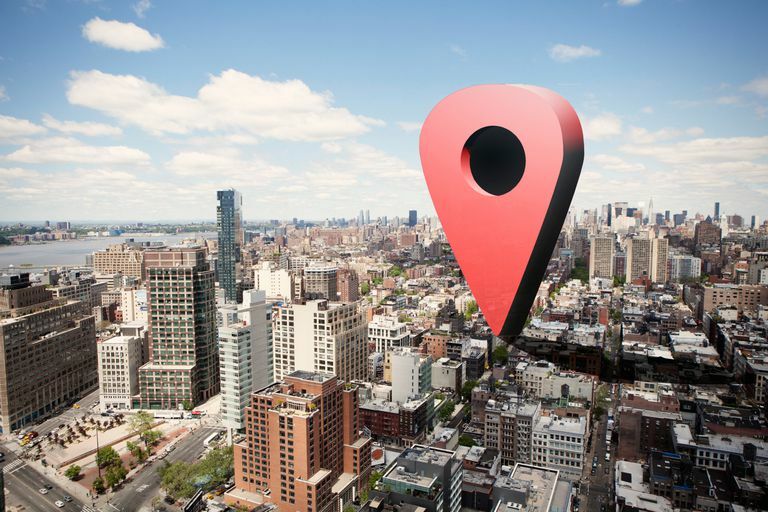 Geolocation involves utilizing a combination of digital information to determine a device's physical location. Websites and Web applications can access the Geolocation API, implemented in most popular browsers, to better learn your actual whereabouts. This information can then be used for a variety of reasons such as providing targeted content specific to your neighborhood or general area. While it may be nice to be served news, ads and other items relevant to your particular locale, some Web surfers are not that comfortable with apps and pages employing this data to customize their online experience. Keeping this in mind, browsers give you the opportunity to control these location-based settings accordingly. The tutorials below detail how to utilize and modify this functionality in several different browsers. Select Chrome's main menu button, marked with three horizontal lines and located in the upper right-hand corner of the browser. Chrome's Settings interface should now be displayed in a new tab or window. Scroll to the bottom of the page and select the Show advanced settings link. Scroll down again until you locate the section labeled Privacy. Select the Content settings button, found within this section. Location-Aware Browsing in Firefox will ask for your permission when a website attempts to access your location data. Take the following steps to disable this feature completely. A warning message will appear, stating that this action may void your warranty. Select the button labeled I'll be careful, I promise! A list of Firefox's Preferences should now be displayed. Enter the following text in the Search bar, located directly below the address bar: geo.enabled. Select the Windows Start icon, located in the lower left-hand corner of your screen. The Windows Settings dialog should now be visible, overlaying your desktop or browser window. Select Location, located in the left menu pane. Scroll down to the section labeled Choose apps that can use your location and locate Microsoft Edge. By default, location-based functionality is disabled in the Edge browser. To enable it, select its accompanying button so that it turns blue and white and reads On. Enter the following text into Opera's address bar and press the Enter key: opera://settings. Opera's Settings or Preferences (varies based on operating system) interface should now be displayed in a new tab or window. Select Websites, located in the left menu pane. Select the Gear icon, also known as the Action Menu, located in the upper right-hand corner of the browser window. IE11's Internet Options interface should now be displayed, overlaying your browser window. Select the Privacy tab. Located within IE11's Privacy Options is a section labeled Location which contains the following option, disabled by default and accompanied by a checkbox: Never allow websites to request your physical location. When activated, this option instructs the browser to deny all requests to access your physical location data. Also found within the Location section is the Clear Sites button. Anytime a website attempts to access your location data, IE11 prompts you to take action. In addition to having the ability to allow or deny that individual request, you are also given the option to blacklist or whitelist the respective website. These preferences are then stored by the browser and used on subsequent visits to those sites. To delete all of those saved preferences and start anew, select the Clear Sites button. Select Safari in your browser menu, located at the top of the screen. Safari's Preferences dialog should now be displayed, overlaying your browser window. Select the Privacy icon. Type the following into your browser's address bar and press the Enter key: vivaldi://chrome/settings/content.